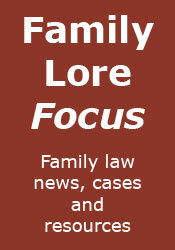 Family Lore: How easy it is to change accountants? It’s easier than you might think to switch to one accountant from another. Every year, scores of self-employed people and business owners move to a new accountant without a hitch. Read on to find out more about how seamless the accountant-switching process can be. People decide to switch accountants for all sorts of reasons. Maybe you feel you are not getting enough value for money from your accountant, they have made mistakes or they don’t communicate with you as effectively as they could? Perhaps they are too slow to respond to your queries or don’t keep you in the loop with regards to how things are progressing? Some people decide to change their accountant because they have provided poor-quality advice or haven’t provided the tax-saving opportunities they talked about when they first signed up with them. One common reason for people switching accountants recently is that they have been too slow to offer useful and convenient cloud accounting solutions. Many companies leave their accountant because their businesses have grown, and their current services provider cannot meet their needs. Before you go ahead and tell your accountant you no longer require their services, you need to check your agreement to ensure you are permitted to leave. The best time to move between accountants is when there isn’t much active business between you and your existing accountant, as this will ensure the change is a smooth, swift one. What happens when you switch? When you have found a new accountant and are ready to start working with them, your new accountant will write a letter to your old one to get professional clearance for managing your accounts and arrange the transfer of all relevant documents. In the letter, the new accountant will ask for a letter of disengagement from your old one. You will also need to use HMRC’s online authorisation service or sign a new 64-8 form, so your new accountant is legally able to manage your tax affairs. Your new accountant will conduct an anti-money laundering check on you and provide you with a letter of engagement. Why choose One Click Group? One Click Group are able to help if you are unhappy with your current accountant and are ready to switch. We have more than 20 years’ experience in the contractor services industry and are wholly compliant with tax and employment legislation. We offer a vast range of payment solutions for experienced and new contractors and are able to provide dedicated account management services to all our clients. Free-cloud based software is available for all our clients, and we can even give you access to our award-winning One Click Rewards scheme. Talk to us today if you’re interested in working with a client-driven accountancy and tax service that puts you at the forefront of everything it does. You can reach us today by sending a message through the form on our website or by calling on 0345 557 1287.